Reb Asher zt”l sought to instill in the new generation the fundamentals of Emunah Pshutah (simple belief) through Chesed. Reb Asher recognized the power of imbuing the children’s hearts with Torah while they were still soft and impressionable, and at the same time, he saw many families struggling to pay the high costs of tuition in order to obtain high quality education for their children. Talmud Torah Ohr Yerushalayim is a Yad Ezrah project, established to provide a high level Torah education at a significantly reduced tuition fee. The goal of the institution is to educate Jewish children in the basics of pure unwavering faith through true Ahavat Yisrael, while granting the struggling parents a welcome reduction in tuition as part of the package. This greatly reduces the stress and disharmony in the home of the student, so it can be replaced with the pride and joy of the parents as they witness the successful educational growth of their child. 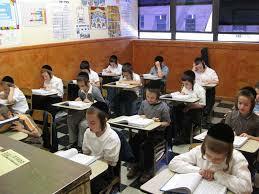 The students in the Talmud Torah come from every religious sector of the population. They receive quality education from a teaching staff whose own lives are guided by Reb Asher’s path of faith, and whose main goals are to help each student grow in yiras shamayim and middot tovot. The students are served daily hot lunches, free of charge, enabling them to have full concentration so that they may reach their maximum potential. With the help of Hashem, we have merited the nachat of seeing our students graduate and continue their spiritual growth in the most prestigious yeshivot, developing into true Talmidei Chachamim, Ohavei Yisrael and Anshei Chessed.